As a Campaign Owner or Manager, you hold a key position within the campaign, and have responsibility for a number of areas. 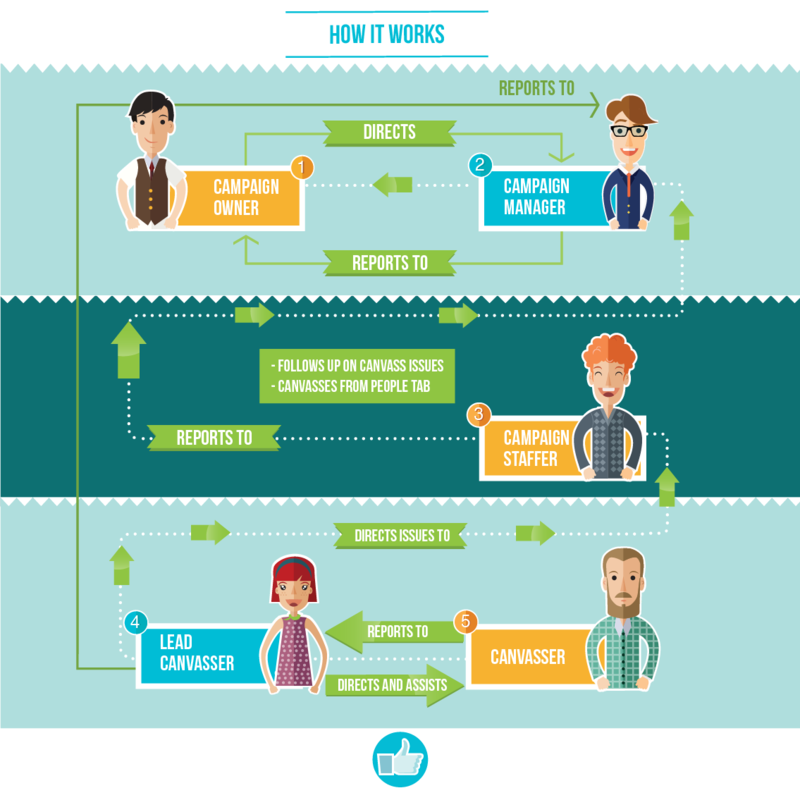 To get the most out of Ecanvasser, it is important to either align, or integrate your existing campaign structures with those available in Ecanvasser. This does not mean that a great body of work is completed to do so, but rather that everyone on your team is aware of their role within your campaign. Campaign Owners & Managers should be sure to engage in a discussion alongside the candidate, political consultant, and any other relevant stakeholders to ensure that these duties are defined, and none are overlooked. Campaigns often vary in size, and in some smaller campaigns, the duties of a Campaign Staffer may also fall to the Campaign Manager. These include some important functionality such as Talking Points, Surveys, & Issues. As such, if you do not have a member of your campaign team to fill the role, you should ensure to review the sections that overview this functionality.